Midtown Bloggerinos! Raph here, back from a brief hiatus. Our Times Square location has recently changed it’s hours. We’re now open 8 am – Midnight from Monday to Saturday and 12 noon to 8pm on Sundays! What does that means for yours truly? Learning to be more nocturnal! But fear not, I’m back and I have a lot to say, particularly about how much I’m enjoying Marvel Now! 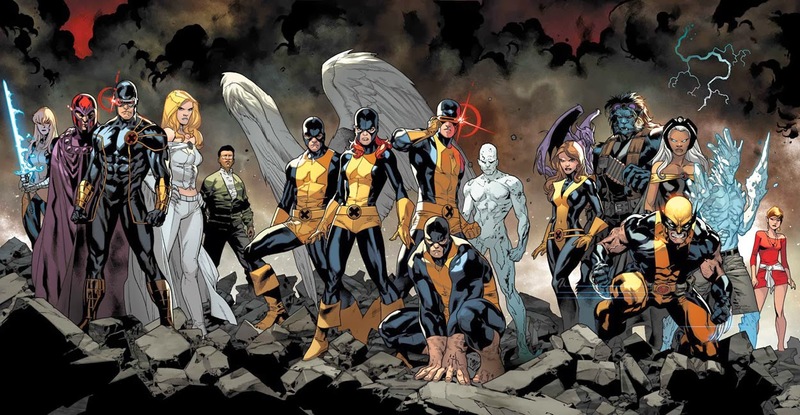 This relaunch of the Marvel Universe isn’t a complete reboot (unlike DC’s New 52), the stories aren’t starting over, they’re just ending the last epoch of the Marvel Universe, which pretty much dates back to 2005’s House of M. Here are 3 reasons why I enjoy Marvel Now! Fully revealed: J. Scott Campbell’s beautiful Midtown Comics *exclusive* interlocking Marvel NOW covers! From left to right: All-New X-Men #1, Uncanny Avengers #1 , Avengers #1! 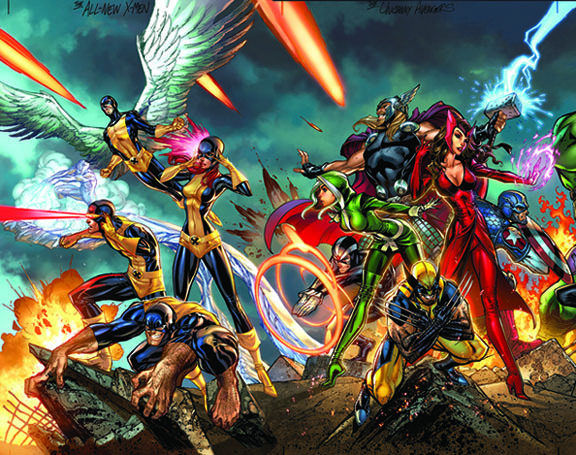 Be sure to check out our exclusive interview with J. Scott Campbell and making of the cover here! Our All-New X-Men cover is here! This is the second of three Midtown exclusive Marvel NOW covers by J. Scott Campbell. Click here to pre-order all three and save 15%! Uncanny Avengers #1 kicks off Marvel Now! on October 10th just in time for New York Comic Con, and we’ve got a Midtown exclusive cover by J. Scott Campbell for that and All New X-Men #1, and Avengers #1. All three covers connect to form one beautiful image depicting the lovely ladies of Marvel Now! We had the chance to speak to J. Scott Campbell about his work on the covers and get a sneak peak at the art in progress! UPDATED! 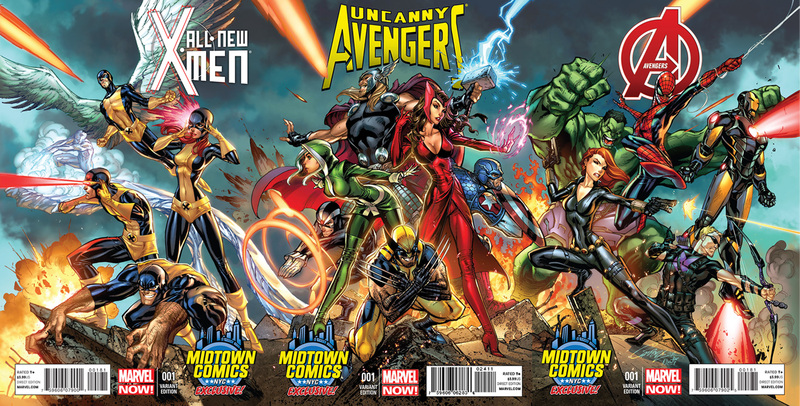 We know have the inked version of our All-New X-Men cover and the final version of the Uncanny Avengers cover!